i hope i dont end up looking like a fool here. again. but i cant seem to identify this bird. 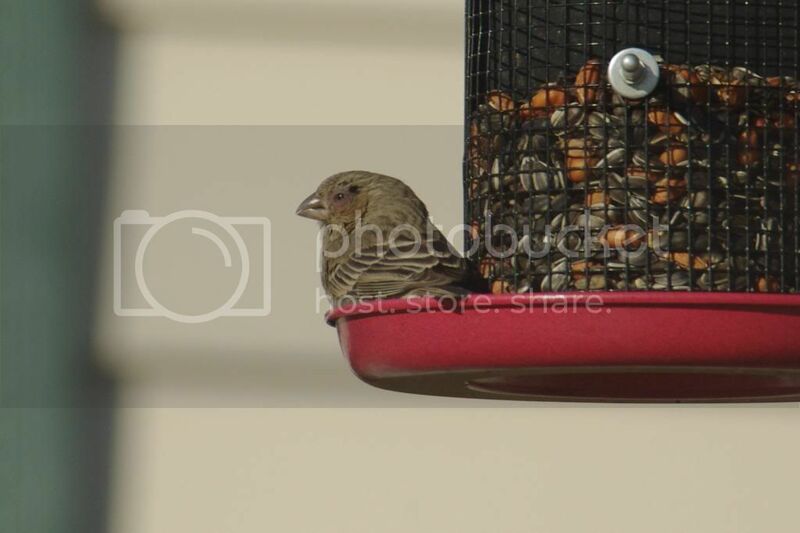 is it a sparrow, some kind of finch, or what? Google is an excellent tool in identifying birds as well as animals. i know, but the spot behind it’s eye threw me. photobucket has a resizing option if you click ‘edit’ on a pic that you have uploaded. get a free account and try that. you want to do the dimensions of 640x480 if you want to resize them to upload here. upload your pics, edit each one to size, then click on each pic to open them, then right click and “save as” each one. Thanks for all the help!! I owe you one! nawww. i’m happy to help.